The fall meeting of the William & Mary Alumni Association Board of Directors was held in Blow Hall Sept. 19-21, 2018, in Williamsburg. New members of the board had an orientation session on Sept. 19 followed by a meeting of the executive committee to discuss the agenda and key discussion and governance items. The full board convened on Thursday and began with introductions of new members, approval of consent agenda items, a report by the executive director on ongoing activities and upcoming significant events, and an update byt he WMAA president on the executive committee’s meeting. 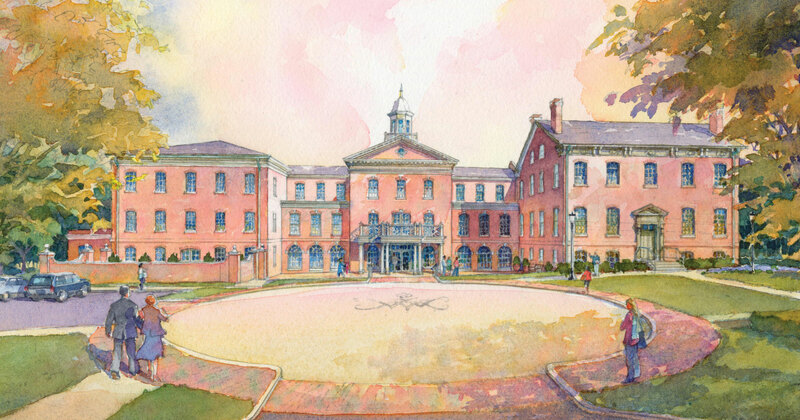 Member Todd Norris ’86 presented an update on the Alumni House expansion and renovation project, citing the latest budget and value engineering efforts to date. The chair of the finance and investment committee presented the end-of-year financial report and first-quarter to date performance. Representatives from PBMares briefed the results of the financial audit, then representatives from Wells Fargo reviewed the Association’s investment portfolio performance. The afternoon concluded with presentations and discussion of possible parking initiatives, an update on the Association’s fundraising performance, committee breakout sessions and reports by each committee on their activities. The board then attended the annual Fall Awards Banquet. On Friday, Sept. 21, the vice president for university advancement gave a For the Bold campaign update followed by the associate vice president for university marketing and advancement communications leading a discussion on planning for the W&M Weekend in San Francisco in September 2020. The director of alumnae initiatives provided a recap of the Women’s Weekend, then board president Sue Manix ’79 led the board in a discussion on strategic planning goals for the summer 2019 session. In the afternoon, the board received updates on constituent group activities by the chair of the Olde Guarde Council and the vice chair for Students for University Advancement. They also had an introductory conversation with the new university president, Katherine A. Rowe. Approved the according of Associate Alumni status to 36 retiring faculty and staff members. Reviewed initial results of the annual audit of financial activities and financial statements; full approval pending their completion. The next regular meeting of the board of directors will be Feb. 7-8, 2019, in Williamsburg. The Annual General Membership Meeting of the Association will be held on campus Feb. 9, 8:30 - 9:30 a.m. in the Sadler Center, Chesapeake Room, in conjunction with W&M Charter Day Weekend. The Alumni Medallion Ceremony will be held on Feb. 9 at 10 a.m. in the Commonwealth Auditorium. To nominate a deserving individual to the Alumni Association Board of Directors, please visit wmalumni.com/about-us/board-of-directors. Nominations are accepted all year but must be received by July 1 to be considered for the next election year.